Jill Of All Trades: Redecorating with MakeMyHome.Com! We all love a home that looks attractive, and when the guests come in, specially now being the festive season we definitely want them to go WOW! My theme would be CASUAL , I like a house to feel homely, and hence comfortable and casual, but with a ethnic touch to it! 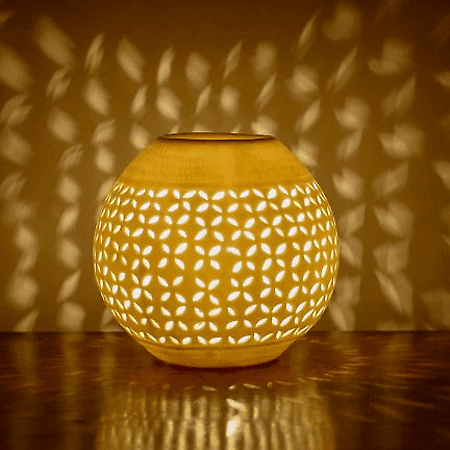 This beautiful oil burner / lamp has abstract cutouts that helps it glow with a soft light. I would place it in the corner of my living room bedroom to add to the ambiance! The oil you choose to add brings fragrance to the room too, so basically this one is quite a multi-tasker! (Imagine a subtle yellow lighting and some soothing lavender oil) A must buy I think, and again, quite pocket friendly. We Indians are big believers in God, Good luck, Prosperity etc. 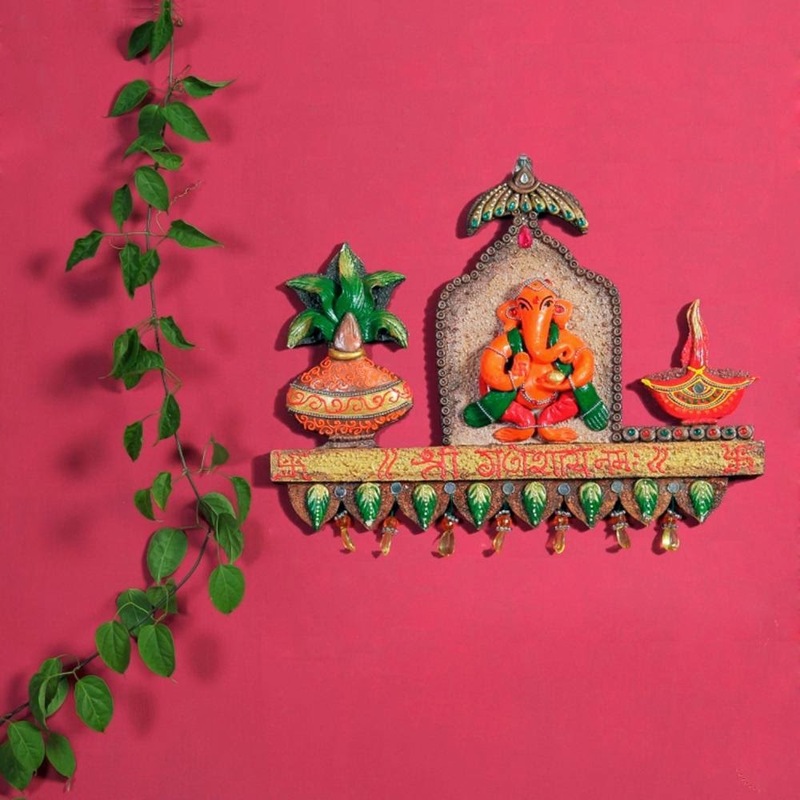 This wall decor has a Kalash, Ganesh ji and a diya. So what better than hanging this beautiful piece at the home's entrance to bring in some good fortune? There are also some love bedsheets and a lot of other innovative decor on makemyhome.com, do check it out! IskiUski is one of the online foremost jewellery shop in india with the latest jewellery design in Gold, Diamond, Silver. We offer wide range of diamond rings engagement from various famous designers. Nice post about the various types of home decorating items. here is the more home decor items like Bed sheets, pillow cover, cushion cover & more to decorate your home at best prices in India.